Because Arizona Hard Money Loans are asset-based loans, the collateral for the loan is the primary concern of the lender. But he or she is also very interested in the borrower’s ability to make the loan payments and his or her ability to manage the project to a successful completion. This might sound like a lot to ask someone to include in a loan application packet, but it is really far less complicated than a traditional loan application. The borrower’s ability to repay a substantial loan is obviously important to the lender. For this reason, many lenders will ask to see two years of tax returns as well as a personal financial statement. This demonstrates long-term income as well as the borrower’s current debt to income ratio. Both of these will help the lender determine the borrower’s ability to repay the loan as well as overall financial stability. The more stable the borrower’s finances, the better the interest rate is likely to be on Hard Money Loans in Texas. The property resale value is the third critical piece of information that the lender will examine to determine if the request will be approved. In the case of a fix and flip, this will mean estimating the property value after the repairs and renovations are completed. In addition, the lender will want to know an estimated cost for the repairs to know that the property will still turn a profit and allow the borrower the ability to repay the loan. Having a borrower who has experience in fix and flip projects, rental property management or other real estate investments will provide the lender with greater confidence in the successful outcome of the project. Managing these types of projects requires skill and experience to avoid making costly mistakes. When the project is not managed correctly, time and money are lost making it far more difficult for the borrower to repay the loan. The lender wants to recover his or her investment in cash and not be forced to take possession of the collateral to recover his or her investment. 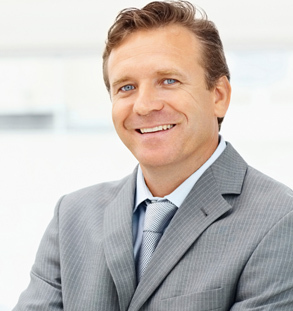 Organization and professionalism are both very important when seeking hard money loans. The loan application packet will be the first tool to demonstrate a well-planned project. Not only should this packet include information about the borrower and his or her company, but it should also provide lengthy details about the project. Include the building plans and renovations, a cost estimate for renovations and the necessary timeline for the completion of the renovations. It is also helpful to demonstrate that there are contingencies in place in the event of a cost overrun for additional issues with the property or a slower than expected sale when that project is completed. All of this information is important when determining the profitability of a property and should be completed before making a purchase even if the lender does not ask to see the documents. But including this information can help to secure a more favorable interest rate or other loan terms.